Image courtesy of U.S. Department of Agriculture. Alice Munro's "The Turkey Season" was first published in the December 29, 1980, issue of The New Yorker. It was later included in Munro's 1982 collection, The Moons of Jupiter, and in 1996's Selected Stories. The Globe and Mail calls "The Turkey Season" one of Munro's "very best stories." In the story, the adult narrator looks back at a time in the late 1940s when, at age 14, she took a job as a turkey gutter for the Christmas season. The story goes into great detail about the various other workers at the Turkey Barn -- Herb Abbott, the mysterious and alluring supervisor; two middle-aged sisters, Lily and Marjorie, skillful gutters who take pride in never letting their husbands "come near" them; cheerful Irene, young, pregnant, and belatedly married; Henry, who periodically drinks whisky from his thermos and who, at age 86, is still "a devil for work"; Morgan, the rough-edged owner; Morgy, his teenage son; Gladys, Morgan's fragile sister, who brings her own soap to prevent allergies, frequently calls in sick, and is rumored to have suffered a nervous breakdown. Finally, there is Brian, a crass, lazy newcomer. Eventually, Brian's rude behavior goes too far. Munro never tells us exactly what his offense is, but the narrator enters the barn after school one day to find Morgan screaming at Brian not only to leave the barn but also to leave town entirely. Morgan calls him "filthy" and a "pervert" and a "maniac." Meanwhile, Gladys is said to be "recuperating." The story concludes some days later with the strange camaraderie of the Turkey Barn crew celebrating their last delivery on Christmas Eve. They are all drinking rye whiskey -- even Morgy and the narrator. Morgan presents everyone with a bonus turkey -- the deformed ones that are missing a wing or a leg and thus can't be sold -- but at least he's taking one home himself, too. When the party is over, snow is falling. Everyone heads home, with Marjorie, Lily, and the narrator linking arms "as if we were old comrades," singing, "I'm Dreaming of a White Christmas." As we might expect from an Alice Munro story, "The Turkey Season" yields new layers of meaning with every reading. One particularly interesting theme in the story involves, quite simply, work. 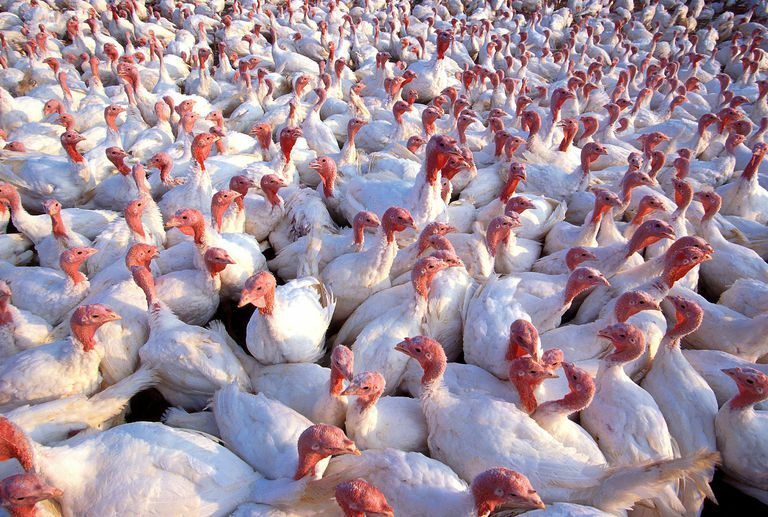 Munro spares us no details of the raw job at hand, describing the turkeys, "plucked and stiffened, pale and cold, with the heads and necks limp, the eyes and nostrils clotted with blood." She also highlights the conflict between manual labor and intellectual labor. The narrator explains that she took the job to prove she was capable of manual work because that's what the people around her valued, as opposed to "the things I was good at, like schoolwork," which "were suspect or held in plain contempt." This conflict mirrors the tension between Lily and Marjorie, comfortable with the work of gutting, and Gladys, who used to work in a bank and who seems to find manual labor beneath her. Another intriguing theme in the story involves the definition and enforcement of gender roles. The women in the story have clear ideas about the ways in which women should behave, though their opinions often contradict each other. They openly disapprove of each other's perceived transgressions, and when they do agree on standards, they become almost competitive about who's better fulfilling them. Though it would be possible to read "The Turkey Season" as a story about Herb's sexual orientation, I think it's really a story about the other characters' fixation on Herb's sexuality, their discomfort with ambiguity, and their obsessive need to "fix the label." Can a Classic Children's Song Explain Old Age? What Is the Plot of 'Everyday Use' by Alice Walker? Try the Thanksgiving Day Skit "Terri and the Turkey"